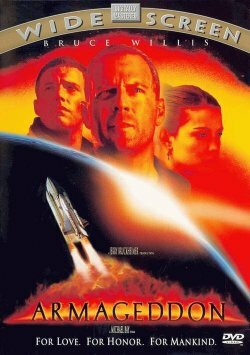 A low earth orbit space station is in the middle of a repair mission with the space shuttle when an unforeseen meteor shower obliterates them both. This sudden event sends fireballs hurtling to Earth and scientists scurrying to telescopes. An amateur astronomer is the first to spy a gigantic fireball headed towards the planet and notifies NASA. Turner (Billy Bob Thornton) informs the president of the asteroid and describes it as being "the size of Texas," a planet-killer. With eighteen days to impact, NASA frantically tries to find a solution but ends up turning to an outside contractor. Harry Stamper (Bruce Willis) and his team of oilmen are called upon to save the planet as only they can.